It seems the right time to question the whole approach of the current team of consultants putting together the Craighouse applications. The current approach is clearly not working. The financial case put forward by Mountgrange and their consultants claims that a total of over £9.6m in various professional fees needs to be paid to all these advisors to make the site viable. So we will be questioning whether the work of these consultants justifies this massive financial reward. Surely it is the dream job of any architect to design for a site like this? How could Oberlanders get it so wrong? Almost everyone we have spoken to who has looked through even just a tiny part of the hundreds of documents making up the Craighouse planning application is shocked to discover how inaccurate and inconsistent the information provided is. There are obvious mistakes all over it. The more carefully you look, the more you find. This post is only about the mistakes in the pictures provided by the architects (Oberlanders) showing their own designs. Somehow, Oberlanders manage to provide pictures of the wrong buildings, even though they designed them! Shouldn’t a building like this inspire architects to do a stunning job? 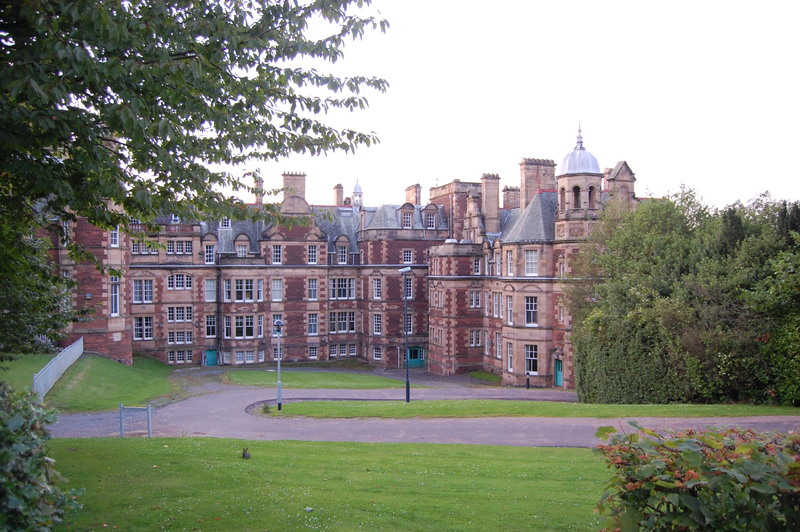 The same buildings from different angles are often different shapes. In the case of one building, ‘Napier’, an entire basement storey and a ‘parapet’ storey on the top are missing. The plans show Napier as seven storeys, but the 3D images show it as five. Even the listed buildings are wrong, with some of them having massively extended chimneys, giving the effect of making them look higher, thereby making the new-build look smaller than it is. How is it that Oberlanders managed to produce accurate drawings of the existing buildings, produced plans of their new proposals, and then submit (as part of a formal planning application) such wildly inaccurate 3D images of their own designs and the existing buildings? This is a highly sensitive site. It’s been over 3 years that they have had to prepare designs for Craighouse. How did they get it so wrong? Why would Oberlanders put their name to such inaccuracies for the most publicly contentious planning application in Edinburgh in decades? Here are some examples of the differences between the buildings in the different images submitted in the last scheme put into the planning department. This image shows Napier rising what looks like 5 storeys from the road. 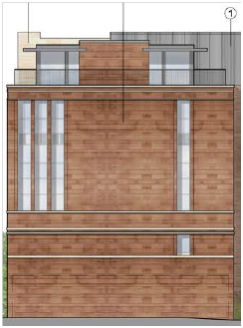 This image, from the plans, shows Napier with a basement car-parking storey at road level, then rising a further 6 storeys above the basement. There are one or two extra storeys in the plans than in the 3D images. 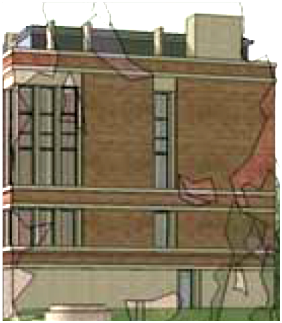 The chimneys of the existing building Bevan are particularly extended in the 3D images. This makes it hard to compare the heights of the existing buildings and the proposed new ones. The accurate version of Bevan’s reasonably- sized chimneys is in the plans. Burton’s east end in the images. It’s similar to the ones in the plans, but it’s not the same design. Also, the ratio of width to height doesn’t seem the same as the plans. Burton’s east end in the plans. It’s a similar design, but not the same as the 3D images. The top floor is very different and look how this version is tall and thin, whereas the 3D version to the left is much more square with more windows. There are 2 problems with this building (‘Burton’): One is that it is in the wrong place (in front of the entrance road instead of behind the entrance road). It is also the wrong building: roughly similar, but not the same as in the plans. It has hard to see with these trees in front, but other than being a similar colour and a long block, it’s quite a different shape. 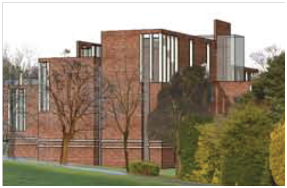 The plans for Burton show a basement with car-parking entrance, then 4 storeys of red sandstone, then a roof terrace. The 3D pictures show a basement, then a yellow sand-stone storey, then 3 storeys of red sandstone, then a roof terrace. 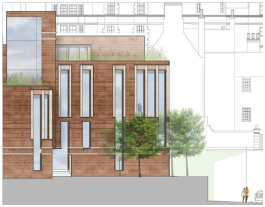 The plans show a 3-storey front section on the left of the building, the 3D pictures don’t have this. This 3D rendering of Napier from the South is similar to the plans, but with fewer windows and the “parapet” on the top barely visible, despite the stone section in the middle of the parapet sticking out on its own. Napier from the South in the plans. 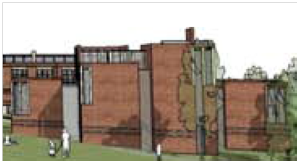 It is a very similar design to the 3D version, but the glass “Parapet” is very visible on the top of the building in the plans, but not in the 3D rendering. In this 3D image, Clouston appears lower and smaller than South Craig, next to it. The disparity seems more than just an issue of perspective. In the plans, Clouston is significantly larger and higher than South Craig, next to it. This is a 3D image of Napier from p8 of Proposed Site Views. See how the glass tower on the right is barely any higher than the main building. In the plans, there is a glass tower raising an entire storey above the rest of the building (the “parapet”) which is not in the 3D image. The windows in the plans are similar to in the 3D image, but not the same widths or style. 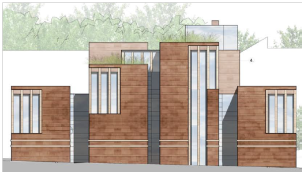 In the 3D images like that above (p35 of Design & Access Statement), the chimneys of the existing buildings are significantly extended in height. 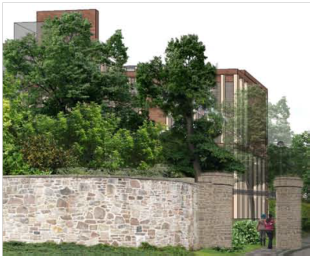 The drawings of the existing buildings in the plans show a more accurate height for the chimneys and the turret on the left of South Craig. Craighouse is such a stunning site. Surely it is a dream job for any architect. But at the same time Oberlanders must know how much pressure and scrutiny will be put on these plans. How did they get it so wrong after having so many attempts? Can we expect better next time, or will we have yet another set of plans where over a thousand people strain their eyes, look puzzled and wonder what on earth they’re looking at before submitting objections to yet another massive, insensitive development scheme?